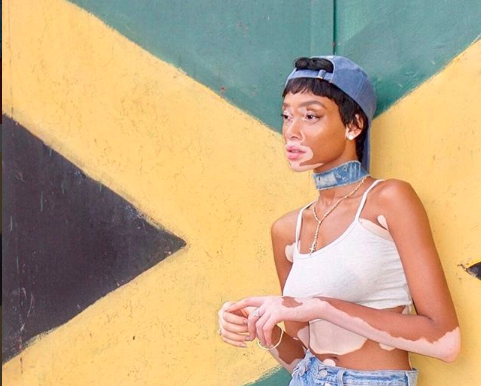 Winnie Harlow is gearing up to obtain her Jamaican passport and citizenship. The fashion model and public spokesperson on the skin condition vitiligo revealed last week that she would be applying for necessary legal documents. Although Harlow was born in Canada, her roots are firmly anchored in several parishes across Jamaica from where her parents originate. The former America’s Next Top Model cast member visits the island frequently and is always representing the culture on social media and during her public appearances. “Supermodel Pose like mi real friend WINNIE (genuinely dnt care who wants to see my wine and JOOOOOOOK for the next 4 days. I’m Jamaican, we dance when we celebrate, it’s my birthday, and I’m HAPPY god has blessed me with 24 years of life…. and an unbelievable life at that. Thank you God!!! SO, imma celebrate how i WANT! ) thank you @davegrutmanur the (goat emoji),” Winnie captioned a video last month during her 24th birthday celebration.